After a long day of answering calls, working on projects and solving crises, all anyone wants to do is unwind. So slip off the jacket, toss aside the shoes and step right up to a surefire cure for the day's stresses. 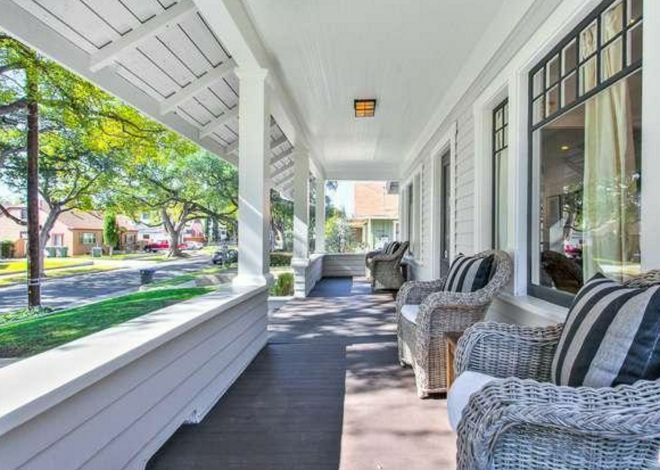 A sumptuous front porch means you can say so long to work and hello to play. Let's go! This inviting Craftsman-style home shakes off the workday grit by blending the indoors and the outdoors: If curling up in a chair is not your thing, there's stretching on a ledge or giggling on the stairs. 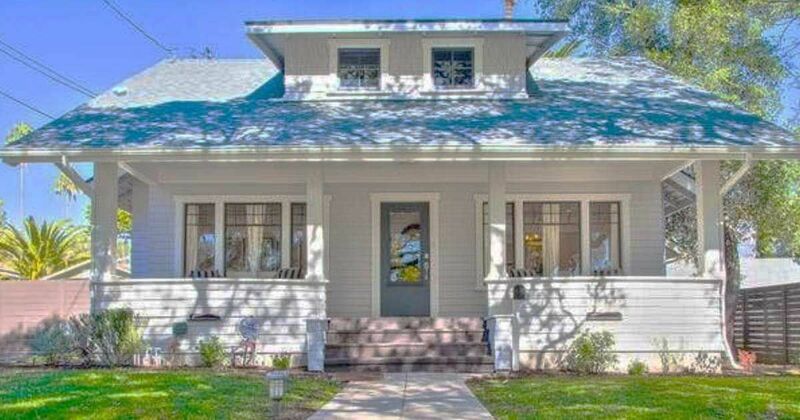 The Pasadena, Calif., three-bedroom, two-bathroom home utilizes its 1,359 square feet of space to bring in the bright light of Southern California while keeping the rest of the world at bay. Time to open the door. After letting go of the day on the porch, the home's bright living room beckons. 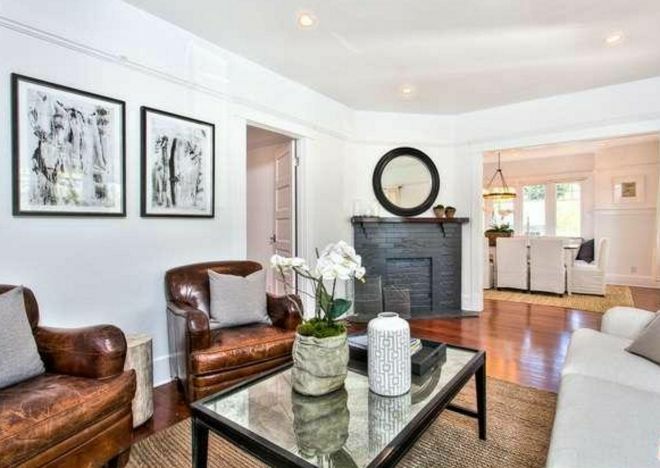 Hardwood floors and a decorative fireplace hark back to a swank era, when everyone made time to sit for a spell and chat. Did someone say hors d'oeuvres? The living room segues into the dining room, which somehow seems to blend a formal beauty with a California casual vibe. 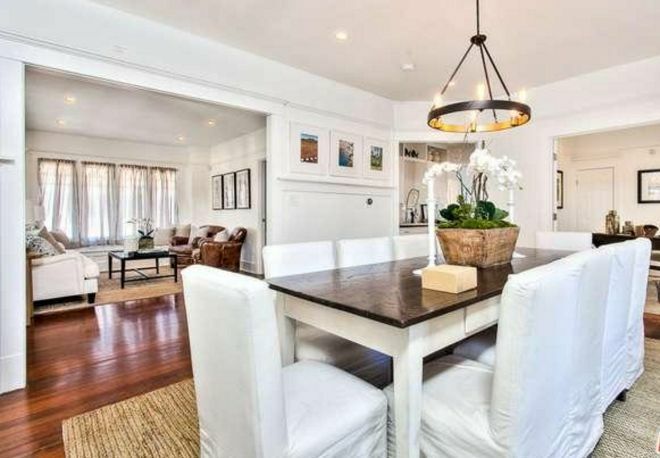 A rustic light fixture over the table and art on the walls add dabs of color to the white walls. It's the best of both worlds, really. 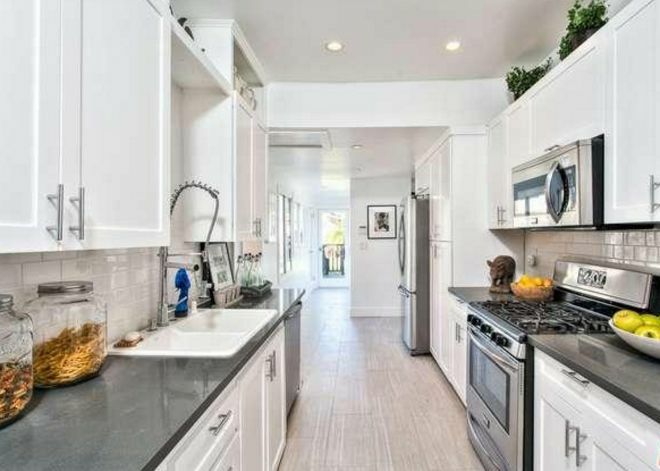 The kitchen, with updated stainless steel appliances and a dash of built-in cabinets, delivers enough room to let two chefs work together and make a family meal without losing a link to the outdoors. 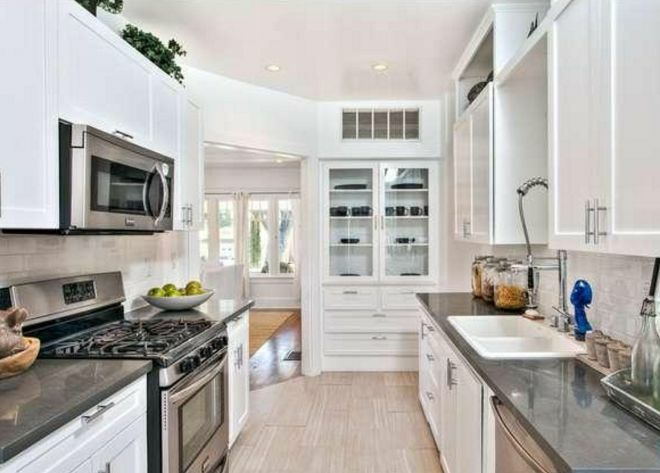 What a perfect place for a friendly family cook-off! Some of us love to savor the sunshine, or the stars, in privacy. 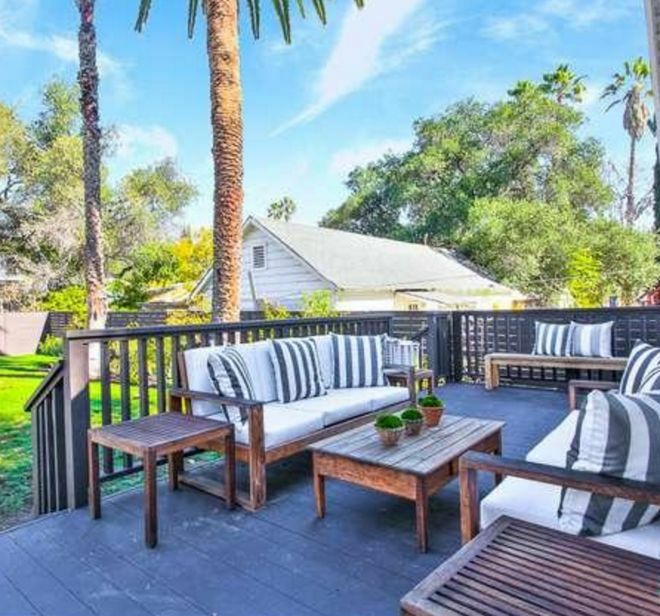 The back deck features enough sprawl to fit a lot friends or let just a few folks stretch out in comfort. And yes, those towering palms are pleasing to the eye. 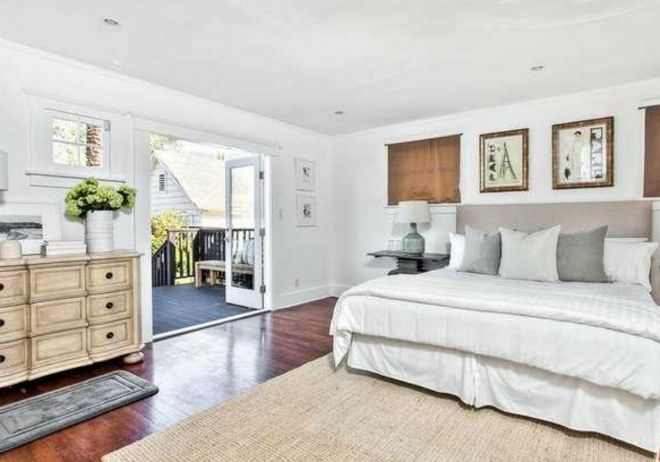 The master bedroom commands a lot of space but sticks to earth tones to keep its owner grounded. The lovely thing here? 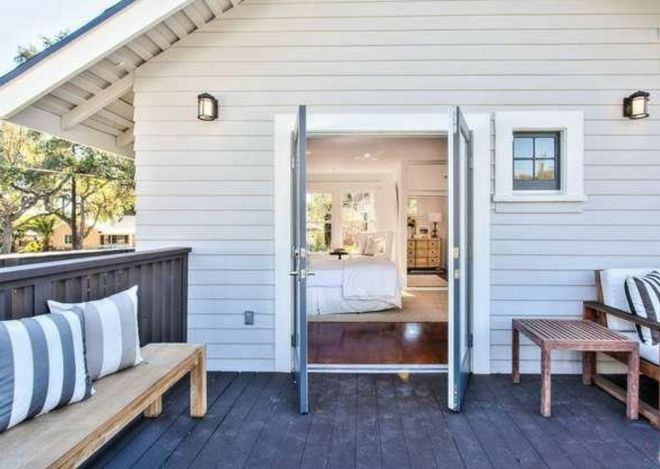 With the serene setting, little more is needed since the outdoors is just a French door away. No need to fret, the bathroom is equipped to enhance the home's sense of retreat and restoration. 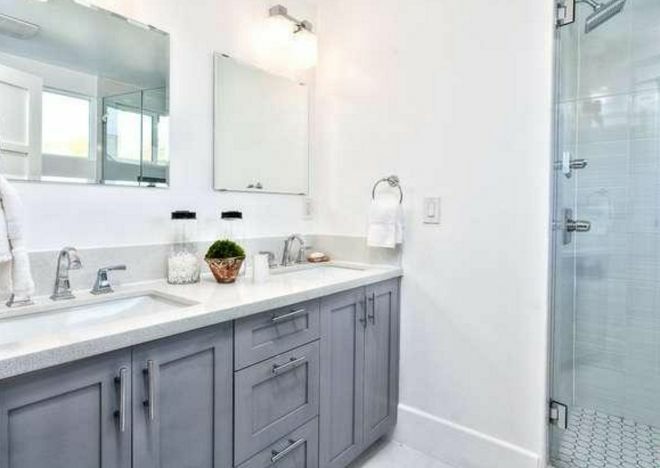 Double sinks and mirrors plus a refreshing shower mean there is no need to rush through the bathroom rituals at all. Do you entertain a lot? 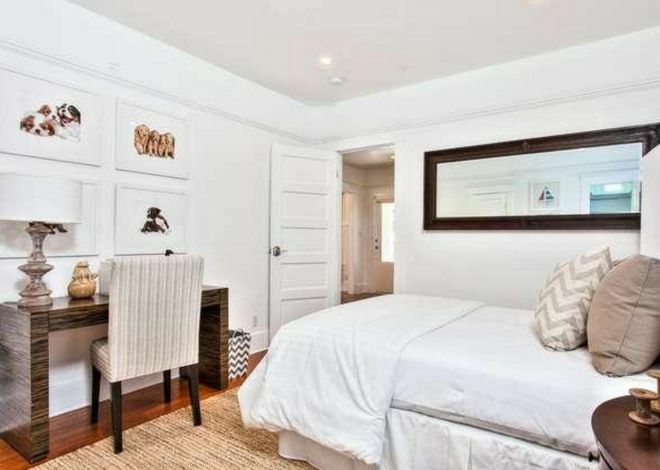 This secondary bedroom lets a visitor decide whether to work or play, or mix it up. A refined desk is there if needed, but who can take their eyes off the puppy pictures? Now, off the to the backyard! All tours must come to an end, we know it's sad, but what a lovely spot to end up at. There's no denying that the details of this home delight, from the exterior paint and accents, to the no-fuss benches and their pillows. If this story let you get way from it all or dream of your own future home, share it with some friends.